December 12, 2015 – Mister Journalism: "Reading, Sharing, Discussing, Learning"
Does my health insurance plan have to cover certain benefits? I have a pre-existing health condition. Can I be charged more for my health insurance? Can my health plan limit how much they will pay toward my covered services? What can I do if my health insurance plan denies my claim for health benefits that I thought would be covered by the plan? How can I compare health plans offered in the Health Insurance Marketplace? Can I buy a health plan outside the Health Insurance Marketplace open enrollment period? After I sign up for a health plan in the Health Insurance Marketplace, can I change my mind and sign up for a different plan instead? Once I buy one plan can I change my mind and switch? This soldier came back from combat not with hatred, but with perspective — and he’s got a message to share. When Charter School of Boynton Beach (Florida) decided in 2010 to build its own campus in a corporate park, Florida taxpayers pitched in big time. Several incumbent lawmakers who are giving off the whiff of scandal have another worry on top of their legal woes: They aren’t keeping up with their challengers, many from within their own parties, in the fundraising arena. 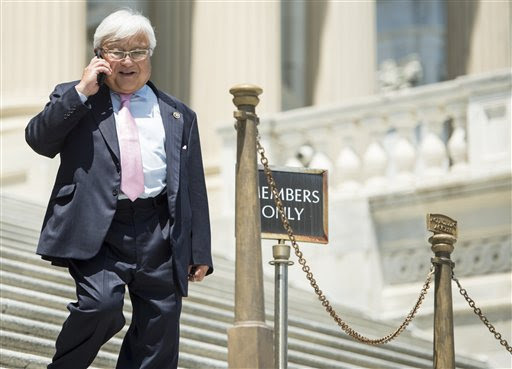 Take Rep. Mike Honda (D-Calif.), who’s facing a rematch against Ro Khanna, a former Obama administration official whom Honda defeated by less than 5,000 votes in 2014. The Office of Congressional Ethics says that Honda and his staffers “may have improperly tied official activities…to past or potential campaign or political support” and “may have used official resources to benefit his campaigns,” according to a Sept. 3 report by the nonpartisan, quasi-independent watchdog, which referred the matter to the House Ethics Committee. Now, Honda is one of seven incumbents trailing their challengers in fundraising as ofSept. 30, federal records show, making his road to re-election especially perilous. Abigail Fisher was denied admission to the University of Texas, a school that’s more selective than Harvard, because her academic record wasn’t good enough. She sued because a handful of minority students along with 42 white students were granted special admission and she wasn’t. Now she wants to help end any programs that seek to increase diversity are ended in public institutions. And she may well win. Some folks are already getting misty-eyed over the halcyon days of No Child Left Behind and grumbling about what has been lost in the newly-minted Every Student Succeeds Or Else Act. The problem with getting misty-eyed is that it seriously impairs your vision. Take Chad Aldeman (Bellwether Education Partners) in yesterday’s Washington Post, who wants us to know what wonderful things we’ve lost now that No Child Left Behind has been left behind. In Aldeman’s story, NCLB put pressure on schools to improve, and the more pressure it created, the more people fought back. As the law aged and those consequences rose, it became less and less politically acceptable to tell so many schools to improve, let alone expect states or districts to have the technical capacity to help them do it. What Aldeman fails to mention is that the increased failure rate was directly related to NCLB’s bizarrely unrealistic and innumerate goal of having 100% of American students score above average on the Big Standardized Test. ACHTUNG: This is not a “fair and balanced” story. It is an editorial by the editor. News of the exploration of establishing a recreational authority in the Wayland Union School District leaves me with mixed emotions. That is, I believe when young people don’t have much to do or places to go, they are more likely to get into trouble. The explosion of interscholastic athletics has helped occupy the time of teen-agers, but there just isn’t enough. Recreation programs enrich communities, as do adult education programs that give people a second chance at getting an education. Perhaps the crime rate will decrease as a result. I said I have mixed emotions.